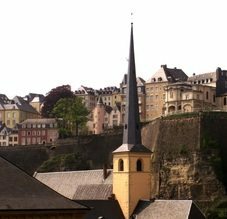 With just over 110,000 inhabitants, the city of Luxembourg is not exactly what one would call an overflowing metropolis. However, its traffic problems match those of some of the busiest urban areas anywhere. In fact, some sections of the Grand Duchy’s capital have been suffering from severe traffic overload for years. One of the most affected areas is Kirchberg. The quarter in the city’s north-east is home to several important institutions and banks such as the European Court of Justice and the European Investment Bank. This is one of the reasons Kirchberg has to deal with very high traffic volumes on a daily basis, especially during rush-hour. The “Serra” roundabout at the end of Avenue Kennedy is currently being used by 30,000 vehicles a day, which is much more than it can handle. And things are about to get worse: Because the final part of the new motorway A7 between Lorentzweiler and Waldhof is scheduled to open on September 23 this year, another 30,000 vehicles are soon expected to pass through Kirchberg towards the city centre every day. During rush hour a total of 5,800 vehicles per hour would need to share the “Serra“ roundabout. 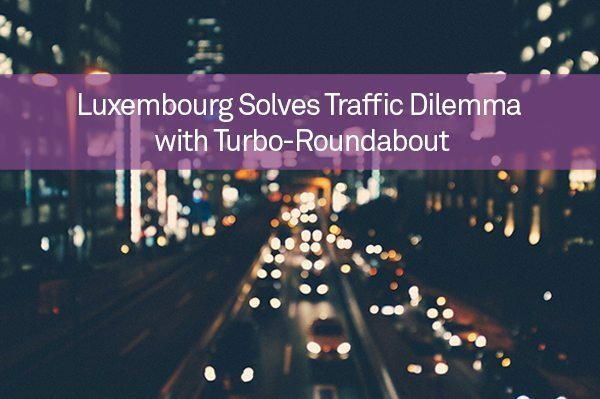 It is safe to say that without any changes to the existing infrastructure, Luxembourg would be heading towards true traffic chaos. in comparison to traditional roundabout designs. The expected increase in vehicle numbers per day are hence not going to become a problem for Kirchberg. Another step being taken to avoid traffic chaos is the construction of a 360-meter tunnel underneath Avenue Kennedy that will lead directly onto the entry to motorway A1. The tunnel will be finished in November this year, at the same time as the new turbo-roundabout, and should reduce traffic by 20 percent alone. Both the tunnel and the turbo-roundabout are only a part of the bigger infrastructural changes taking place in Kirchberg, which is set to benefit from a major urbanisation scheme. As part of this, Avenue Kennedy will receive a tramway operating across eight stops. Since part of the route for the tramway leads over a bridge, the project is not entirely straightforward from an engineering point of view and is only scheduled for completion in the second half of 2017. “In order to prepare the bridge for the tramway and the added car traffic and to improve the cycling paths, we will have to both strengthen and widen the existing lanes,” says Patrick Gillen, president of the Kirchberg Fonds, which oversees the urbanisation of Kirchberg.